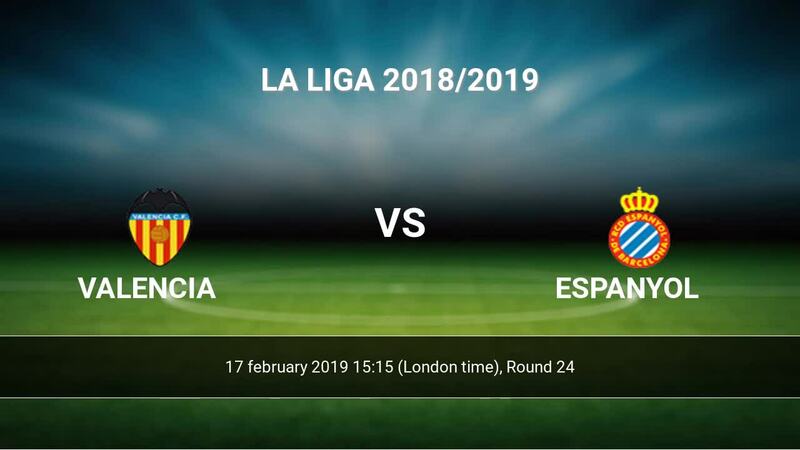 Match Valencia-Espanyol La Liga the fixture is set to kick-off today 15:15 on Estadio Mestalla. Refereee Ricardo De Burgos. Team Valencia is located in the middle of the table. (9 place). Last 5 games (league + cup) finished balance 9 points. 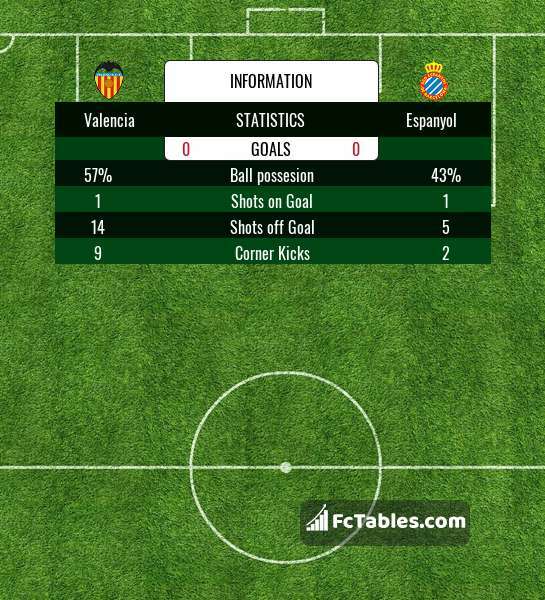 Valencia from 2 matches can not beat any rival. From 6 matches at home no lost a match. Players Valencia in La Liga with the highest number of goals: Daniel Parejo 6 goals, Rodrigo 4 goals, Kevin Gameiro 3 goals. Players Daniel Parejo 3 assists, Rodrigo 4 assists, Kevin Gameiro 1 assists will have to be very well guarded by defenders Espanyol, because they have the most assists. Injuries in the team Valencia: Rodrigo. Team Espanyol is located in the middle of the table. (13 place). In 5 last games (league + cup) Espanyol get 4 points. Espanyol from 7 matches away can not beat any rival. Not lost the match from 2 games. Players Espanyol in La Liga with the highest number of goals: Borja Iglesias 10 goals, Esteban Granero 2 goals, Leo Baptistao 2 goals. Most assists in the club have: Borja Iglesias 2 assists, Esteban Granero 1 assists, Leo Baptistao 1 assists. Injuries in the team Espanyol: Naldo, Pablo Piatti. Direct matches: usually ended with winning of Valencia. Balace of both teams games are: 22 won Valencia, 13 wins Espanyol, 6 draws. In 27 matches the sum of the goals both teams was greater than 2.5 (Over 2.5). On the other hand, 34 matches teams scored more than 1.5 goals (Over 1.5). In 24 matches the both teams have shot at least one goal.